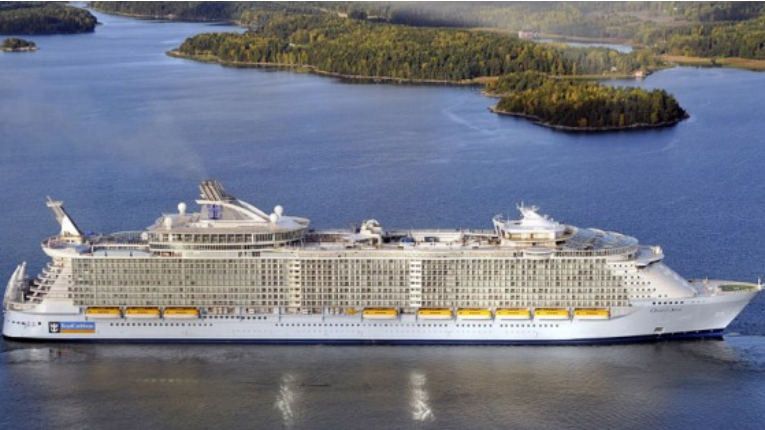 Meyer Turku will begin testing fuel cell technology on an existing Oasis-class ship in 2017. The memorandum of understanding between Royal Caribbean International (RCL) and the shipbuilder will make ships “ride the wave of the future”. The newest class of ships will be powered by liquefied natural gas and introduce the use of fuel cell technology, which ushers in “a new era of shipbuilding that will dramatically reduce greenhouse gas emissions”, reads the statement by RCL. 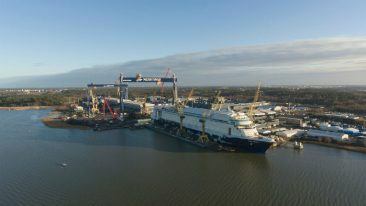 According to Helsingin Sanomat, Meyer Turku has confirmed the number of ships ordered is two. The paper quotes Olli Rehn, Finland’s minister of economic affairs, saying the shipyard alone will need 500 new employees due to the magnitude of the order. The vessels go under the project name Icon, and will be delivered in the second quarters of 2022 and 2024. In the meantime, Meyer Turku will commence testing fuel cell technology on an existing Oasis-class ship in 2017, and will also run progressively larger fuel cell projects on new Quantum class vessels being built in the next several years. 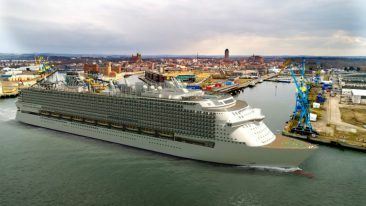 “Our partnership with RCL has created a number of groundbreaking ship classes, such as Oasis, Celebrity Solstice, Quantum, and Mein Schiff, and we are grateful that Royal Caribbean is again giving us the opportunity to partner with them on a new class of ships,” said Jan Meyer, the CEO of Meyer Turku. The news follows the announcement that the shipyard had received a 75 million-euro investment in August.